Preached rightly, the Gospel does not change, but is timeless. 486 years later the Word preached should still apply to us today, otherwise it is not the Gospel of God. Below are some excerpts of a sermon preached by Martin Luther on Christmas Eve 1525. Luther addresses the Gospel hidden in the Christmas story, in the shepherds, the manger, the proclamation of Christ to the World from heaven itself. He notes that Christ must be preached in every proclamation of the Gospel — Christ for YOU and for ME, Christ for SINNERS. Christ must become ours and we His before we can take those steps forward in service to our neighbor to do any good work. And no work is good either if it does not benefit my neighbor. This is still the work of Christ, my work that is. For just as Christ serves me, so I serve my neighbor in the same way Christ does, giving everything in service to my neighbor. May the peace, love, and joy of the Christmas season be yours, in Christ for YOU! The first matter is the faith which is truly to be perceived in all the words of God. This faith does not merely consist in believing that this story is true, as it is written. For that does not avail anything, because everyone, even the damned, believe that. Concerning faith, Scripture and God’s word do not teach that it is a natural work, without grace. Rather the faith that is the right one, rich in grace, demanded by God’s word and deed, is that you firmly believe Christ is born for you and that his birth is yours, and come to pass for your benefit. For the Gospel teaches that Christ was born for our sake and that he did everything and suffered all things for our sake, just as the angel says here: “I announce to you a great joy which will come to all people; for to you is born this day a Savior who is Christ the Lord” [Luke 2:10–11]. From these words you see clearly that he was born for us. He does not simply say: “Christ is born,” but: “for you is he born.” Again, he does not say: “I announce a joy,” but: “to you do I announce a great joy.” Again, this joy will not remain in Christ, but is for all people. 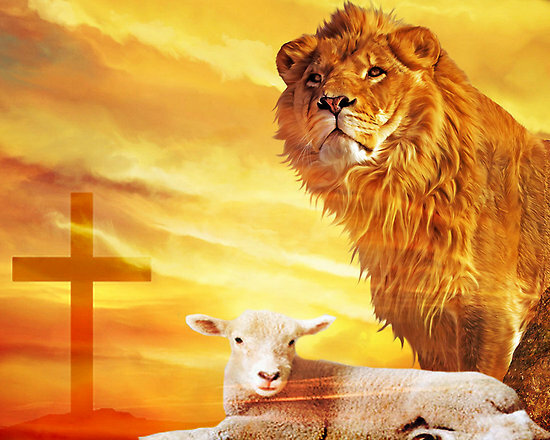 A damned or a wicked man does not have this faith, nor can he have it. For the right foundation of all salvation which unites Christ and the believing heart in this manner is that everything they have individually becomes something they hold in common. What is it that they have? 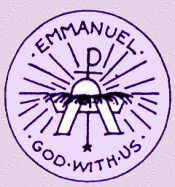 O Emmanuel, our King and Lawgiver, hope of the nations and their saviour: come and save us, O Lord our God. 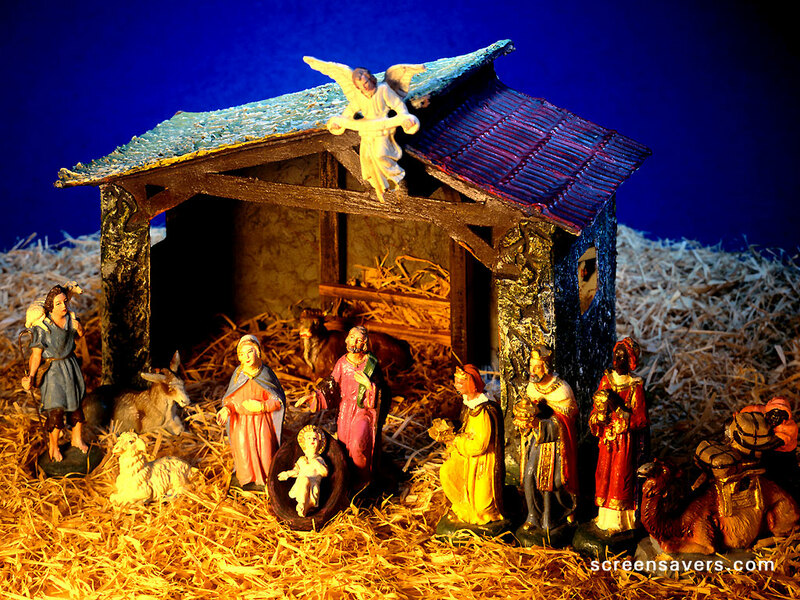 Was Jesus Really Born in a Stable? This is one of those stories that continues to gain traction. I wrote it originally in 2010 thanks to an interview Todd Wilken did with Kenneth Bailey in 2008 on Lutheran Talk Radio over at Issues, Etc. It is a wonderful example of why we need continual study of the Scriptures in the original languages. It is not a reinterpretation of the birth narrative of Jesus, but a closer reading of the story that literally scrapes the frost from the window so we can see the story clearly. Most often our story combines the events surrounding Jesus’ birth into one galactic event culminating with the arrival of the star and wise men at a barn in which Jesus is thought to have been born. We picture the Messiah coming into the world in the filth of a stable, among barn animals. We picture Mary and Joseph making the long journey to Bethlehem, arriving in the middle of the night only to have Mary’s water break as routinely happens in all made for TV movies, sitcoms, and other melodramas to let us know the baby is on the way. To make matters worse, the city of Joseph’s family is so crowded because of the census, that all the hotels are booked up. In one of the Christmas plays in which I participated in grade school, I played an innkeeper, a compassionate one. I remember having to thoughtfully rub my 10 year old bearded jaw as I turned them away from the fires of the spacious hotel de Bethlehem, only to offer a very pregnant woman in labor the stable where the animals were kept and which I the innkeeper would not be cleaning until the morning. And they could not have a fire burning in the stable with all the straw and fodder for the animals. Imagine sitting at dinner one night in a crowded, dimly lit restaurant. You sit with a group of fifteen. It is cold and dark outside. From your table in the dimly lit restaurant, you can see through the second floor window out onto the street below. At the far end of the table where you sit, the window is some forty feet away. As you enjoy the conversation, your eyes drift to the window. A street light stands just outside the window casting off a yellowish light, and throwing shadows into the recessed area that cradles the window against the dark brick of the building facade. As you look, you strain to see across the street. There are bright colors and lights dancing outside. You cannot quite make out what shape the colors form. They blur and blend together in blues, oranges filtered through the yellow of the street light. From where you sit you also see streaks that look like rain. You tune out the conversation and train your ears to focus on the building and for sounds of rain. You cannot quite hear above the murmuring voices and the hum of the commotion of waiters running to and fro, dishes clinking, feet tapping. You sharpen your gaze to focus the shapes or see the rain, yet it is like you are looking through a haze of smog or smoke. Your eyes scan the window from top to bottom, and you notice a streaks across the glass, a film forming. Curiosity gets the best of you, and you walk across the room to the window. As you get closer you notice that the window is filthy. 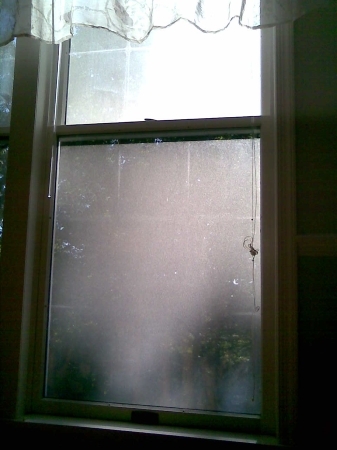 It is streaked with dirt, grease and a fog from a draft around the sill. 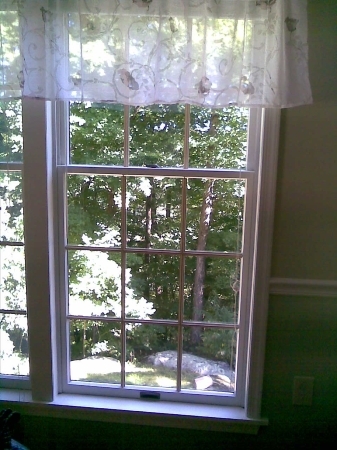 Taking your napkin, you wipe a pane of the window until the glass is clear. You can plainly see through it to the outside. There is no rain, and the streets are dry. You watch as people hurry by on the sidewalk below. Heads down. Wind whipping through them, pushing at their coats and cloaks, chasing paper bags up the street. The colors on the neon, marquee sign across the street draw your attention. They come sharply into view now, clear, crisp digital images. Advertisements for the bands that play nightly; brief headlines of local interest. You return to the table, and can see now part of the sign the logo for the band flashes on the marquee. There are no raindrops on the window. The glass is clear. Sometimes the glass through which we look needs to be cleaned and polished, to get a clear picture of what we are truly seeing. Else the picture looks dim, distorted. We begin to perceive something that we think we see, and may not get the entire portrait. And sometimes what we think we see is not what is truly present at all. Take the Christmas Story for instance. Think of the Christmas plays you have seen or performed growing up. The story revolved around an innkeeper who turned a pregnant woman and her betrothed husband away just when she was about to give birth. Instead, it is said, that this hotel proprietor offered the use of his stable as a place for this young couple to have their first child. With no bed, the newborn had to be laid on the hay in the manger out of which the animals fed. How do we know this? Well, Scripture of course. The Gospel of Luke relates this very story to us. Or does it? “In those days a decree went out from Caesar Augustus that all the world should be registered. 2 This was the first registration when Quirinius was governor of Syria. 3 And all went to be registered, each to his own town. 4 And Joseph also went up from Galilee, from the town of Nazareth, to Judea, to the city of David, which is called Bethlehem, because he was of the house and lineage of David, 5 to be registered with Mary, his betrothed, who was with child. 6 And while they were there, the time came for her to give birth. 7 And she gave birth to her firstborn son and wrapped him in swaddling cloths and laid him in a manger, because there was no place for them in the inn.” Luke 2:1-7. Luke’s story is so familiar that most of us know it by heart. The words flow through us and pass by without a second thought. They lyrically relate the birth of Christ in a way that takes us back to that stable where Jesus was born. Looking at it a little closer, Luke tells us that Mary and Joseph went up from Galilee to be registered because of the census ordered by Rome. Our translation, which comes from the ESV, states that Joseph went to be “registered with Mary, his betrothed, who was with child.” He does not tell us how far along Mary is. However, we do know from the Gospels that she was far enough along that it was known publicly. The Roman Emperor wanted all his citizens to be taxed so a census was ordered. The young couple went from Nazareth in Galilee, to Bethlehem in Judea because Joseph was of the house and lineage of David. The census required each person to go to his own town, his home town, the place of his family. So Joseph went home to Bethlehem, where he very likely had family living. This was the city of King David, Israel’s second and greatest king, and Joseph was a member of that family. Verse 6 then tells us that “while they were there, the time came for her to give birth.” Doesn’t this suggest that the couple had been in Bethlehem for a while? The King James version keeps a more literal translation of the Greek here when it says “and while they were there her days were accomplished…” We usually think of Mary giving birth immediately upon arrival in Bethlehem. 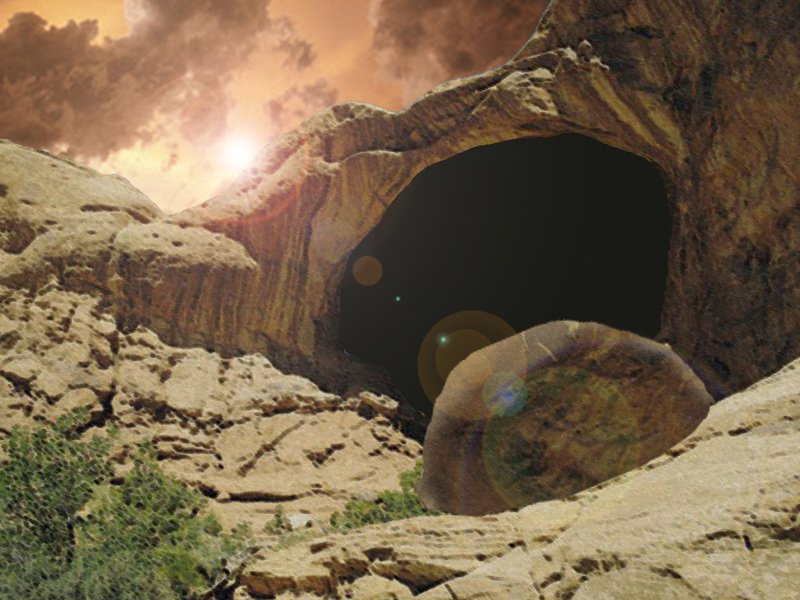 The recent motion picture, the Nativity Story, conveys this thought in the birth scene, as Mary gives birth in a cave almost immediately after being turned away from a room by a stern hotel operator. Luke did not tell us how far along Mary was when they left Nazareth. Nor does His Gospel say when the couple arrived in Bethlehem or how long they stayed there. But it does say that she gave birth while in Bethlehem using words that suggest that she had been there for a period of time before she gave birth. And what about the innkeeper? The only mention of an “inn” is found in verse seven where Luke tells us that they had to lay the newborn Jesus in a manger, because there was no room for them in the inn. Now, when you and I hear the word “inn” we think of a hotel, a place where we can rent a room for the night. And in connection with the Nativity Story, we start to compare the scene in Bethlehem in our mind’s eye with a city that hosts a large event like the Super Bowl — every room is sold out, there is nothing available — Mary and Joseph cannot buy a room anywhere. If this scene took place today, Mary and Joseph would be turned away and forced to sleep in their car, an abandoned building, or even on the street. But what if Luke is not referring to an inn in the sense of a hotel? What if the text means something entirely different? 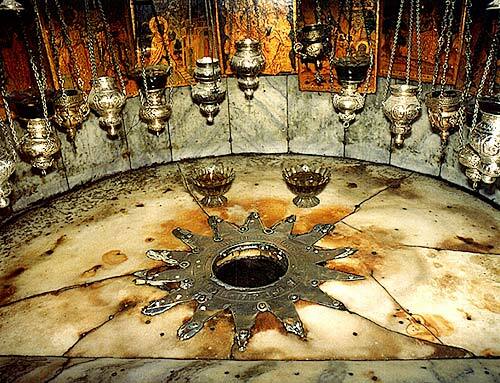 Imagine a typical home in Bethlehem in the time of Christ. The home would consist of two rooms — one for the family and one for the guests. At the front of the home near the entrance, an area is cut out that is lower than the rest of the home. It is here where animals are brought in for the night — a donkey, a sheep, a cow, an ox. They are kept in the home with the family. A manger for hay or feed for the animals is dug out of the stone near them. 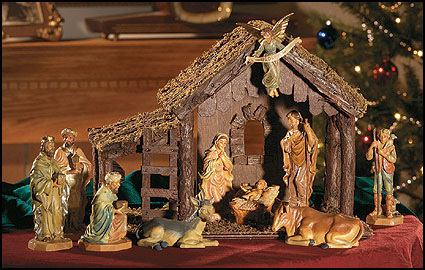 Sometimes a manger is constructed out of wood. The guest room is often located on an upper floor. It is this guest room to which the Gospel of Luke refers in verse 7 when it refers to an inn or kataluma in the Greek. This same word is used to refer to the upper room reserved for the Passover in Luke 22. When Luke refers to a commercial inn in the parable of the Good Samaritan, he uses an entirely different word, pandocheion. Pandocheus is the word for innkeeper used in this story as well. In that parable, Jesus tells us that the Samaritan paid for the lodging of the stranger who was injured by the side of the road. If the Gospel does not refer to a room in a hotel, then it must be referring to a room in someone’s house. And it would lead the reader, then, to conclude that Jesus, the Son of Almighty God, was born in a family home in Bethlehem the night of His birth. Don’t believe me? This scenario is posited by Kenneth Bailey, in his book, Jesus Through Middle Eastern Eyes, Downers Grove: Intervarsity Press (2008). Bailey has spent more than thirty (30) years living and teaching in seminaries and other institutions in Egypt, Lebanon, Cyprus and Jerusalem, studying the culture. Bailey has researched and examined ancient, medieval and modern New Testament translations and commentaries in the languages that were closer to those spoken by Christ — Hebrew, Syriac, and Aramaic. He does not reject Scripture, nor is he a proponent of the historical critical method or some sort of revisionist concept of biblical of interpretation. 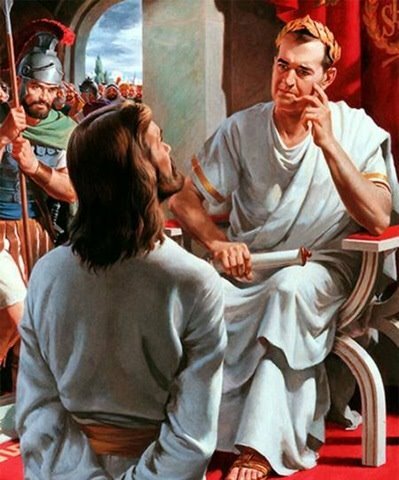 Rather, he is a very ardent and passionate student of Scripture, who has had the opportunity to live and study in the areas where Jesus, the Apostles, and the Prophets lived walked and talked. Bailey notes that the layout of the family home in the City of David remained essentially the same from the time of Christ through the second world war. Bailey uses these details to help deepen our understanding of the narrative of Luke, to polish the glass so that we can see more clearly. Bailey observes that in Middle Eastern culture, family and hospitality are extremely important. If Mary and Joseph could not have found a room in which to stay in Bethlehem, they would have been within an hour’s ride or walk of Elizabeth and Zechariah or other relatives. They could easily have made the trek to family who could have helped this new mother give birth to her first child. Moreover, Joseph was from the line of David. To turn away an heir of King David in the City of David would have brought shame on the entire village. The son of a King, though not a king himself, the family name meant something to this sleep village, as did the words of the prophets uttered so long ago and preserved in sacred writ. It is also conceivable that there were other members of Joseph’s family or ancestors of David who returned to the town for the census. Others likely stayed in the home making the guest room and the family’s room full. But certainly the family would not have turned their kinsmen out into the cold, Judean night to birth a child in a stable or cave. That Jesus was welcomed into a family home and Mary and Joseph shown the appropriate hospitality is strengthened by the story of the visit of the shepherds on the night of His birth. Shepherds were considered unclean, and held a low social status. When the shepherds were told by the angels that Jesus lay in a manger, they were reassured that Christ was born to a humble home, according to Bailey. The first visitors were considered outcasts in society, yet they were welcomed into this humble home, at the bedside of the King of Kings. And isn’t this what God have wanted? Not that His Son be born in the flesh, alone in a cold stable, but welcomed into a humble home, an ordinary home, and given the warm welcome of family. For Jesus, equality with God was not something to be grasped. Instead, He emptied Himself and took on the likeness of our flesh, being born into a family like yours. A family like mine. His birth was announced by angels, not to kings and queens, but to the humble and low and outcast in society. Remember, the wise men did not visit Christ until some time later, maybe more than a year. So Jesus remained in Bethlehem for a time among this poor, peasant family, among the shepherds. 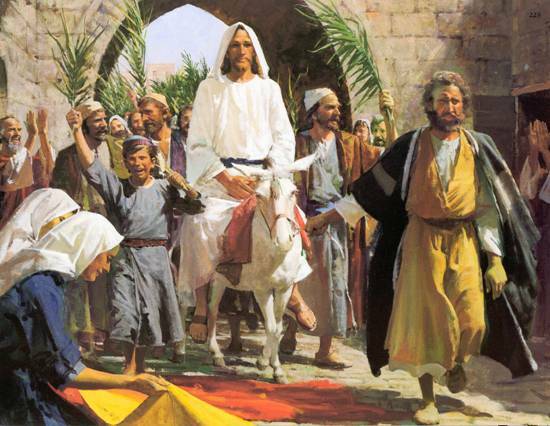 He remained long enough so that the Kings from the east came to find Him and worship Him. Christ came to seek and save those who were lost, and what better way to make the appearance than to a peasant family. If you think about the family, through it God has given us the means to live out the Gospel. The family provides us with the truest reflection of our individual relationships with the Triune God. We come from sinful, broken relationships, to be united together as man and woman to be made whole. 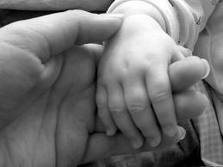 From this union, God creates new life, and gives us the opportunity to share His love with our children. These creatures are entirely dependent upon us for everything that they need in life and trust us without question. They turn to us, their parents, for every good thing. The two who are united as one are joined together in the Spirit, to bring new life into the world, to hold onto this life dearly and nurture it, mold it and shape it, so that one day this child will be sent out into the world to do it all over again. This is exactly how our relationship to God is supposed to be — united with Him through the Spirit, trusting Him for every good thing, and holding on to this new life in Christ for our dear life, and for the life of the world. Christ was born into just such a broken relationship. Born to a young woman who brought shame to her family by becoming pregnant during the period of betrothal and before the marriage to Joseph was completed. Joseph thought seriously about putting Mary away. He certainly would have been within his rights under the Law of Moses to stone Mary to death, for such was the penalty for adultery. Instead, God intervened with Joseph, and took this broken relationship, took what appeared to the community as sinful treachery on the part of an adulterous woman, and healed their relationship through the birth of the Savior of Mankind. This new life brought Mary and Joseph together and bound them to one another for the sake of this child, the Christ Child. And God sent this broken relationship out of the town of Nazareth in which they lived, to the City of David, where they were welcomed by extended family. Joseph’s family. The left as two, but became three in Christ. In Christ, all things are made new. And so our Advent season starts at the end of fall, when the leaves have fallen from the trees, and the ground is fallow. No crops or plants grow, but death appears to rule. It is cold and barren. Yet in the midst of this dark, cold time, warmth and laughter can be heard. 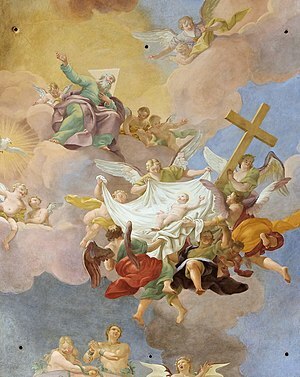 Joy and mirth spring forth, and the greatest announcement of all time can be heard: “GLORY TO GOD IN THE HIGHEST, AND PEACE TO HIS PEOPLE ON EARTH!! FOR TONIGHT IS BORN IN THE CITY OF DAVID, A SAVIOR WHO IS CHRIST THE LORD! !” These sounds are heard even today in the midst of the rush and crush of the holiday shopping season. Regardless of whether one believes in Christ as the reason why we celebrate Christmas, the secular songs that are played carry a wave of joy with them that is indescribable, like the Greek monument to the unknown god. Sometimes our lens needs cleaning. Sometimes it needs to be refocused, so that we can see what really is laid before us. The story of the Christ Child needs to be heard anew each year. As you sit down with your family this year and reflect on the birth of the Savior, consider for a moment that Christ was not forsaken by God at any moment in His life. There was not a moment that God did not provide for Him — and not a moment that Christ was not obedient to the Will of the Father. And so maybe, Christ was not born into a family that had been turned away at the local Holiday Inn because all the rooms were full. Maybe He was not born in a cold, dark stable. Maybe Mary and Joseph were not alone with the barnyard animals. Maybe they had family there to help. Imagine, this year, that Our Savior was born into the warmth of a home like yours and mine that some 2000 years ago. Brothers and sisters who fight. Moms and Dads who have tension between them because of previous choices made. The aunt who still pinches your cheeks even at age 52. Broken relationships. But still, a family that gathers together to celebrate something bigger than themselves, whether we all know and understand the reason or not. Christ came into a home like yours and mine. He did not come just to heal the relationship of Mary and Joseph, to give them new life. He came to give all mankind life. In the Savior’s birth a new life is given to us, to give us new life. His life is an example for us — an example of how we, who were created in the image of God — can live a fully human life — in Christ. As you look at your wife or wives look at your husband, you should see reflected in your relationship with one another, because you are united as one person by the Holy Spirit, the image of God Himself. Your children should see this image reflected by each of you. In your children, you see reflected the new life that we are given in Christ. We see in them the potential of man in Christ. We see the hope of the world to come reflected in this new life we have in Christ. All of this is possible because of the birth of Christ, God come to us in the flesh to dwell among His people. That new life is ours each and every day in Christ.